A very popular addition to wedding celebrations, Pretty Chairs provide stunning white LED dance floors that twinkle and sparkle the night away. A great way to get the evening party started and a fantastic feature for the bride and grooms first dance. 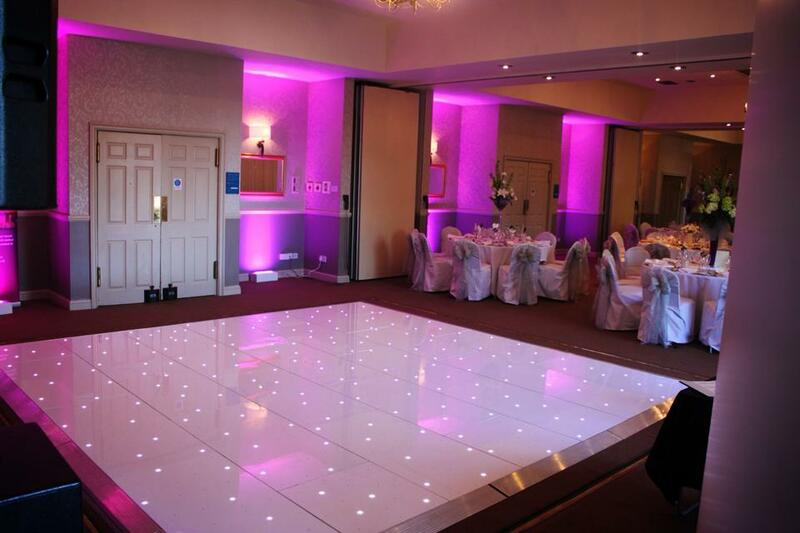 Each acrylic panel has lots of bright white LEDs giving a fantastic twinkle effect across the floor. The ramped aluminium edging is wheelchair and pram friendly. We have many sizes of dance floor available.